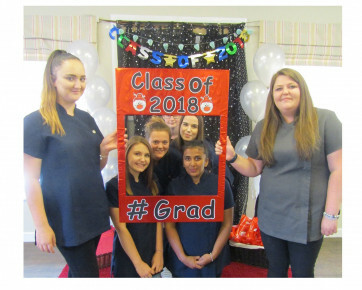 Our School Leavers had a fantastic time celebrating the end of an era with staff and parents for their Graduation. 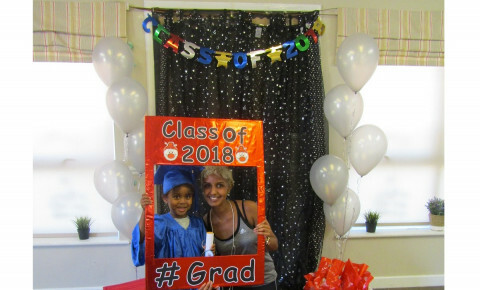 The children, dressed in their formal blue graduation gowns and hats, were welcomed by the parents to a standing ovation before posing for photos and performing their favourite song; ABC using Makaton. The children then led their parents outside in the garden and taught them Wake and Shake. The parents really knew the words and actions by the end! An afternoon tea was enjoyed by all in garden before the official ceremony took place. The children were welcomed on stage by their key worker, one at a time and presented with their Busy Bees Graduation Scroll and goody bag. The photo booth was a big hit with children, staff and parents alike. 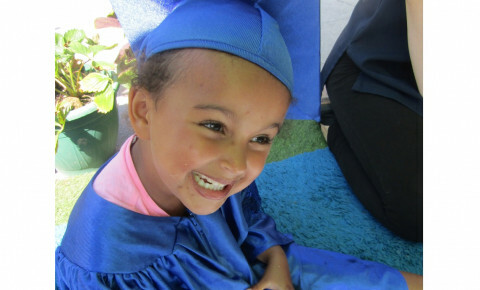 A huge THANK YOU to Abbi, the Pre-School Senior Room Leader, and her team for their continued hard work and dedication in preparing our little Bees for school. 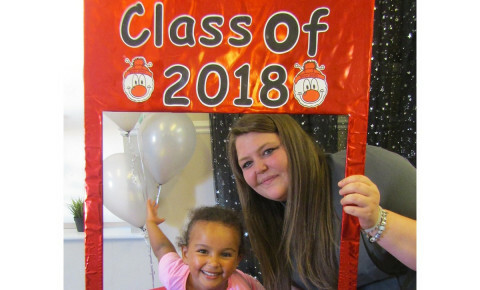 The children will be missed by all here at Busy Bees Day Nursery in Ipswich Rushmere and we wish them all well for the future.